This is a great place for the young family looking for things to do in Dorset. There are lots of animals for the children to meet, greet and feed. 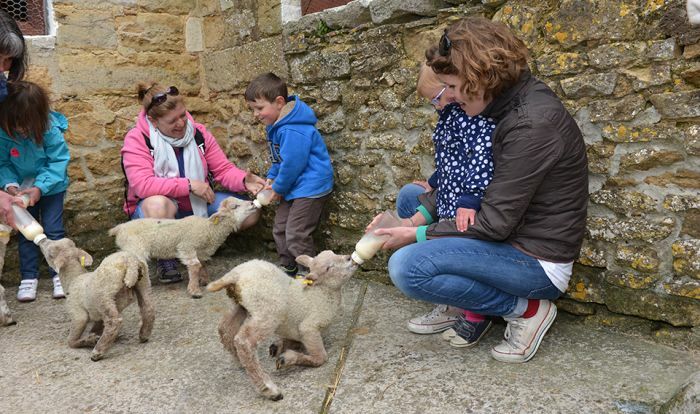 Considered one of the best Children’s Farms in Dorset, there are fun things to do every day. Children can cuddle the guinea pigs, ride the ponies, race the tractors, play in the large undercover play area, jump around on the new bouncy castle (don’t forget your socks!) and bottle feed the lambs. The lambs also have a midday race around a track, after the race the children are invited to take a lamb for a warm down walk on a lead.